Previously, I listed a number of similar Oeben mechanical tables with their locations here. When I assembled this list, I was aware of other tables. Lacking direct references, however, I refrained from including them. Early last week, I received confirmation of another table located in Germany. 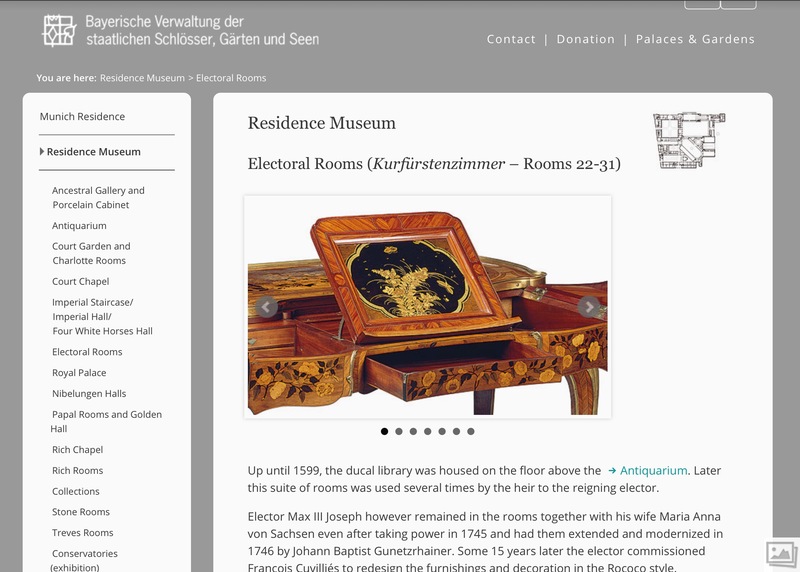 This one is at the Residence Museum in Munich. When you tap on that link, the first picture you’ll see is of the table (see image below). Look quickly because it’ll change! Other than that, I could find no further mention of it. Due to licensing issues, I cannot include other images of it. However, there are several incorporated into this web posting. This entry was posted in Discovery, Motivation by J. Leko. Bookmark the permalink.